The fourth guidebook in MAS series of practical guides for media managers focuses on the recent changes Facebook made in its News Feed. The purpose of these guides is to help media decision-makers understand some of the key topics in digital news provision, and give them practical support in adopting concepts that will improve their operations and streamline how their companies work (see Guide #1: Product Management for Media Managers, Guide #2 – Launching a paywall: What you and your team need to know and Case studies on paywall implementation, and Guide #3: Best Practices for Data Journalism). 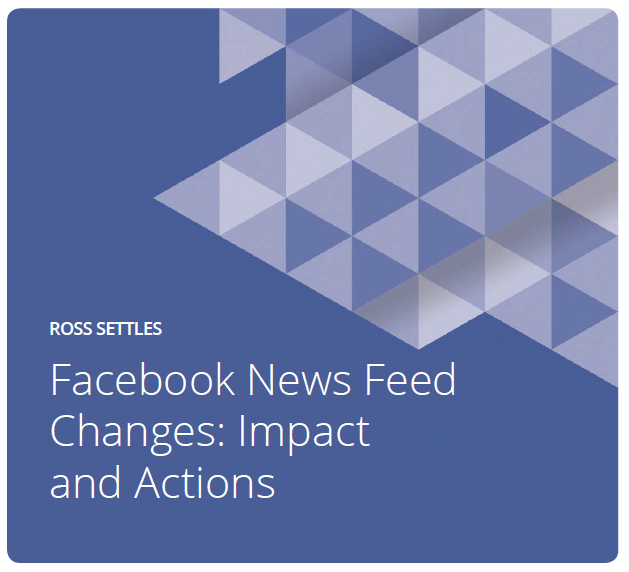 Guide #4 – Facebook News Feed Changes: Impact and Actions, by Ross Settles. There are several key steps that a media executive should take to prepare. What is your media’s strategy for Facebook? How does your media use Facebook to achieve your news reporting and business goals? How dependent are you on Facebook? What percentage of your traffic is from Facebook? What percentage of your revenue is dependent on Facebook? What actions can you take to maintain the benefits your media receives from Facebook? What actions should you take to create alternatives to Facebook? As Facebook introduces the changed algorithm over the remainder of 2018, online publishers will have some time to prepare and plan strategies for how to compensate for the impact of the change on their business. Please download and share the guide. We would love to hear from you – send any comments or suggestions to us at mas@mdif.org. About author: Ross Settles, MDIF Senior Advisor for Digital Media, is an adjunct professor of digital media and entrepreneurship at Hong Kong University’s Journalism and Media Studies Center. He consults to media and investment firms on business development and marketing strategies. Ross worked with MDIF client Malaysiakini, the largest independent online news portalPortalA Web site that often serves as a starting point for a Web user’s session. It…//read more in Malaysia. His work with Malaysiakini focused on new online products and services as part of a yearlong Knight International Journalism Fellowship. Ross previously managed the online business and editorial operations for Hong Kong’s South China Morning Post and directed marketing and business development for Knight Ridder Digital. Before Knight Ridder, Ross led marketing and international development efforts for technology media company Red Herring Communications, and worked in marketing and product development with Times Mirror, the owner of the Los Angeles Times. Ross holds a Masters in Business Administration from the University of Chicago and a Bachelor of Arts in East Asian studies from Princeton University. He has spent over a decade in China and East Asia, and speaks, reads and writes Mandarin Chinese. You can contact him via e-mail.